TRESemmé , Universal and others are using the popular format to vibe with Millennials. Are they trying too hard to be cool? During Fashion Week in September, shampoo brand TRESemmé wanted a way to translate the event’s excitement to the online crowd. Video? Too long. Vines? Still too long. GIFs? Yes, that hit the sweet spot. 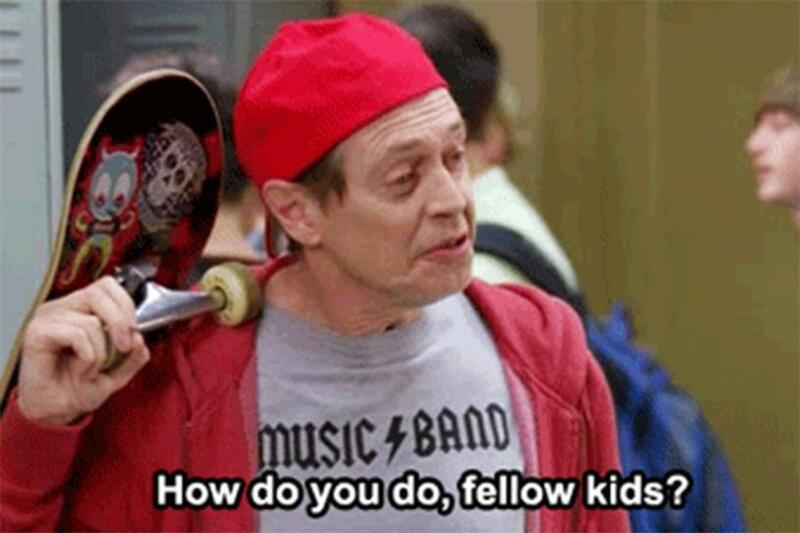 If you’ve ever received an email from a Millennial, you’re aware that this generation loves to communicate in GIFs. At 28 years old, GIFs are older than many people who use them, but the format has proven marvelously adaptable to modern forms of digital communication. You can text them, email them, post them on Reddit, tweet them and, as of just recently, put them in your Facebook News Feed. Naturally, marketers want in. And there are a handful of companies that are happy to take an advertiser’s money and turn it into custom GIFs. But is that such a good idea? Are GIFs a valid form of brand expression or merely a fad, one that could make brands look like they’re pandering to Millennials? GIFs, a form of digital animation developed by CompuServe in 1987, are undeniably popular. Tumblr hosts some 23 million GIFs every day and Facebook, which began allowing GIFs in its Messenger app in March, was hosting 5 million a day within that app as of August. In May, Facebook added GIFs to its News Feed. What explains that popularity? David Hayes, head of creative strategy and founder of Creatrs, Tumblr’s program that matches brands with artists, says that aside from their portability, GIFs also distill experiences into "micro-moments" that users can collect. "That’s a utilitarian benefit," he says. "It’s helpful and practical for people." In addition, they’re remixable, so users can layer their own commentary on top of someone else’s GIF. "They’re kind of designed to hook a user inside a stream," he says. "And if you think about it, we all kind of sit inside streams now regardless of what social platform we’re on." Finally, GIFs are silent, which Hayes says means they’re "just interruptive enough." Ken Kraemer, chief creative officer and head of product at Deep Focus, was even more effusive. "In a way, GIFs are more like modern-day poems, whereas videos are like short films," he says. "In the context of a messenger or a social feed, they can make connections with people much faster and much more effectively. Done right, people are more likely to share them impulsively." Both Creatrs and Deep Focus help brands create GIFs. These days, it’s hard to find a brand that doesn’t traffic in GIFs. Even unlikely entities like IBM, GE and NASA have GIFed. In TRESemmé’s case, the brand employed GIF artists to help them out during Fashion Week. "Time and time again we talk to brands," says Hayes. "Their request is always the same — ‘We know how to do an activation, we know how to build a presence at the event, but how do we burst out of the event?’ " Hayes says in this case, TRESemmé -branded GIFs of models strutting on the catwalk allowed fans to see fashion in a new way. Success for such GIFs is measured in reblogs. Hayes says that if one gets hundreds of thousands within a short time (like the first month) then it has gone viral. Perhaps the most viral branded GIFs ever were the Minions from the Universal film "Despicable Me," one of which received more than 300,000 likes and reblogs on Tumblr, he says. In that instance, each Minion expressed a particular emotion, providing an easy use case. While GIFs are an effective means of penetrating conversations, they may not work for every brand. Like memes and emoticons, GIFs are best attempted by professionals who are able to find ways to use the format that makes sense for the brand. That’s because there’s a big risk that by GIFfing, a brand will be seen as trying too hard to connect with Millennials, and the attempt will backfire. Last December, for instance, someone rolled out a Twitter account called Brands Saying Bae ("before anyone else") that cataloged instances in which brands were caught pandering to Gen Y. In particular, the account called out brands using the term "fleek" (for "smooth, nice and sweet"), for using memes and, of course, for saying bae. There aren’t many GIFs on Brands Saying Bae, which may indicate that the format transcends their Millennial trappings. Kraemer certainly thinks that’s the case. "Brands using GIFs to communicate to an audience in a way that's appealing to it is very different than a brand using words like 'bae' to try to sound like that audience," he says. "The latter is inauthentic and brands get called on it, usually rightfully so." Whatever the case, branded GIFs aren’t likely to go away soon. Those who GIF for brands say demand is off the charts, especially in light of Facebook’s recent embrace. "I think we’re about to to see GIFs from brands more and more," says Adam Leibsohn, COO at Giphy, which GIFs on behalf of McDonald’s and Toyota, among others. "I think they’re just beginning to get the hang of GIFs."